Wheeler Williams was born in Chicago, Illinois, on November 3, 1897, the son of Lawrence and Adèle H. (Wheeler) Williams. After studying sculpture at the Art Institute, he entered Yale and graduated in 1919 as of the class of 1918, his studies having been interrupted by service as a lieutenant in the U.S. Balloon Corps during World War I. He then turned to architecture, received his master’s degree from Harvard in 1922, and in the same year the medal of The American Institute of Architects. 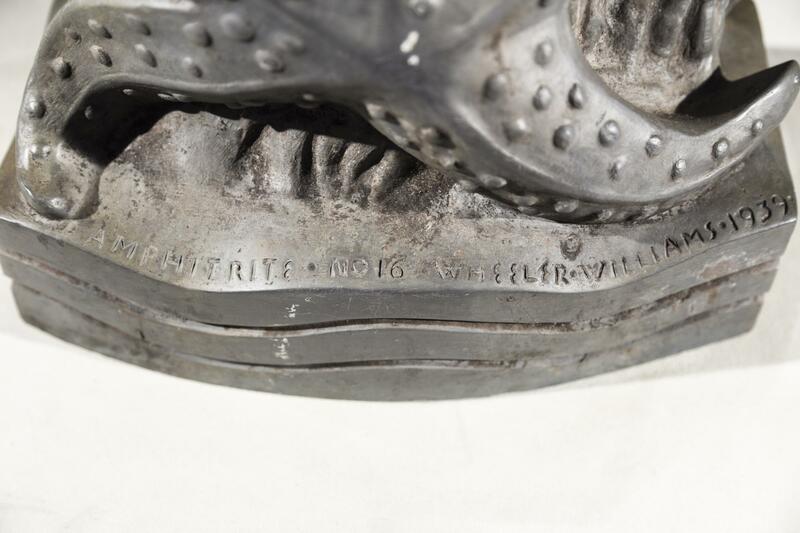 The work in sculpture which he had continued at Harvard with John Wilson earned second place with honorable mention in the Prix de Rome competition of 1922. Thereupon he chose sculpture as his profession and spent the next eight years in Paris, where he studied at the École des Beaux-Arts with Jules Coutan before taking his own studio. Since his return to the United States in 1928 he has had a studio in New York, though much of his work has been done in California. Keenly aware of the varied possibilities of different materials for his highly finished works, he has employed lacquered bronze for effects of polychromy, white-glazed porcelain for decorative figures, and for the many portrait busts which he has modeled preferably terra cotta, following the technique of eighteenth-century French sculptors. His years in France schooled him in fine craftsmanship and left on his art an impress of rarefied beauty. Williams has received many awards for the excellence of his work, including gold medals from the National Arts Club and the American Artists Professional League. The Herbert Adams Memorial Medal was given by the National Sculpture Society in 1962 in recognition of his contributions to American art and his leadership in establishing the National Sculpture Review, which began publication while he was president of the Society. He is a member of the National Academy of Design and has been vice-president of the Architectural League of New York. 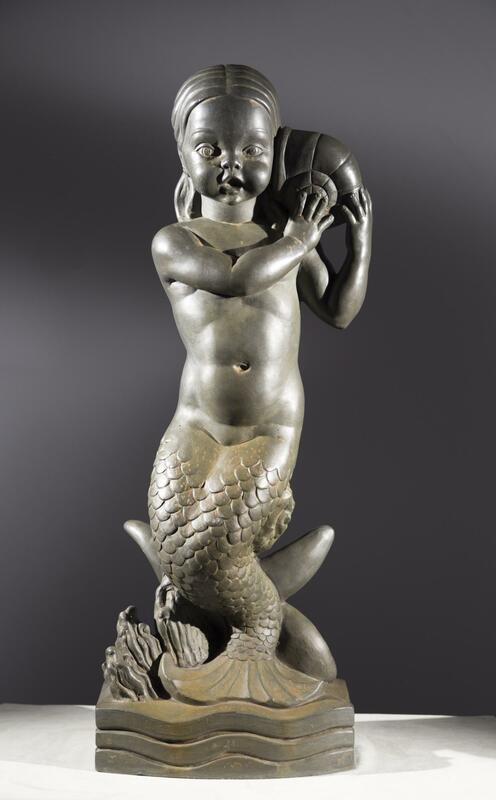 Amphitrite is one in a series of eight sculptures entitled Childhood of the Gods, executed by Williams between 1939 and 1940. The full group includes Neptune, Amphitrite, Diana, Apollo, Pan, Hercules, Venus, and Mercury. In Greek mythology, Amphitrite was a sea goddess and wife of Poseidon. 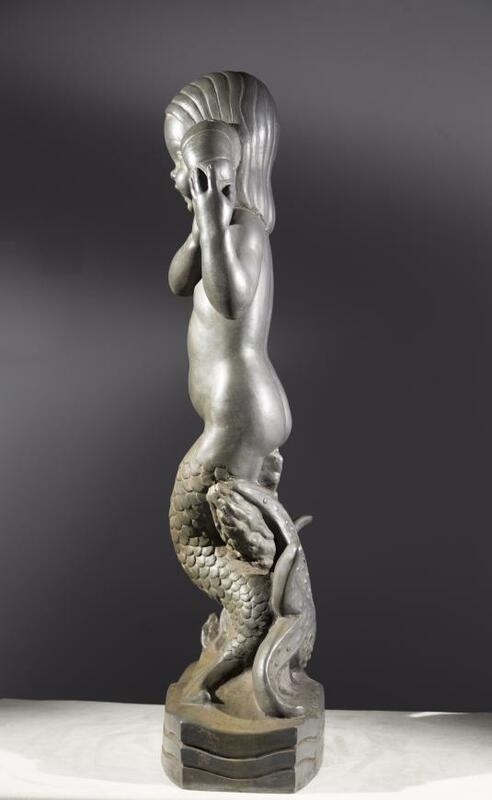 She is often considered the personification of the sea itself, and was associated with seals and dolphins. 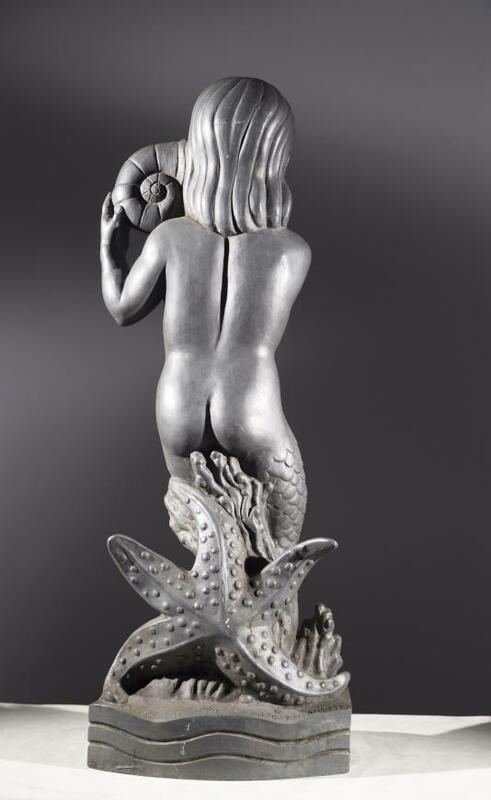 Williams, in his depiction of the young Amphitrite, has included a starfish as one of her defining attributes, and the lower half of her body culminates in a tail. The Childhood of the Gods series, cast in lead and definitively an outdoor sculpture group intended for placement near gardens or pools, represented Wheeler Williams’ effort at making sculpture more accessible to the general American public. 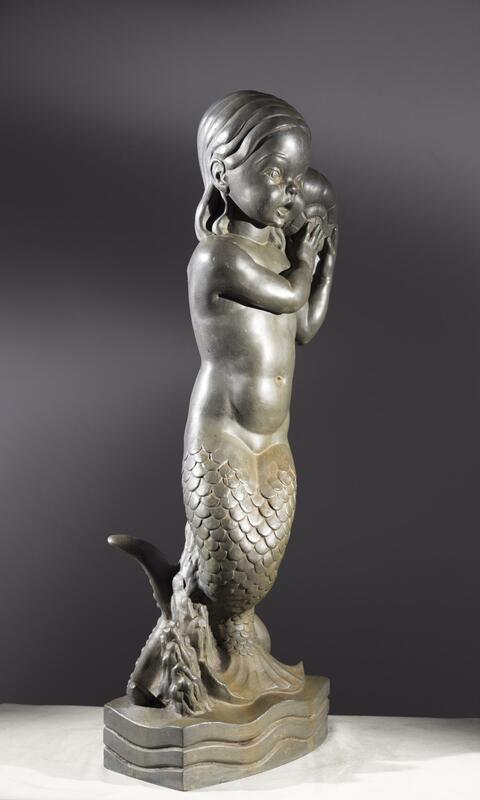 A little girl with the body ending in a fish’s tail holds a shell to her ear with both hands. Her parted hair is tied at the nape of the neck. Behind her, upright, is a starfish. The eight statues of the Childhood of the Gods, of which this is a part, are the first issue of the Limited Editions of American Masterpieces of Garden Sculpture, planned to “help American sculptors reach a larger audience and make it possible for more American homes and gardens to have fine examples of our native sculpture.” Bronze molds from which a number of lead copies could be cast were financed by sponsors.